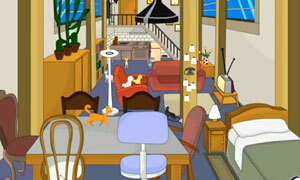 Cat House Escape is point and click, escape game by games2rule. You are trapped inside the Cat House. And no one is near to help you out. You will have to use your intelligence to explore the room by finding useful hints, objects and escape from the cat house. Good luck and have fun.